The Beta Mum, Adventures in Alpha Land is available to Pre-Order on Amazon! 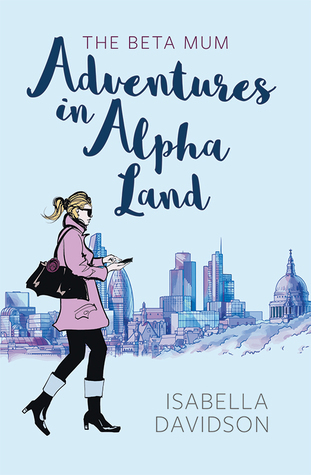 You can now pre-order my book, The Beta Mum, Adventures in Alpha Land on Amazon! It is a strange thing to come up with a book cover, given that I am not the one who actually drew those pictures or designed that cover, yet it is the one thing that is supposed to sell my book. I did give the designers some ideas of what I thought the cover should look like, but they are the ones who came up with it. The book, which is really like a baby to me, was conceived by me from the first word to the last (well, with some editorial help! ), so when I received the book cover, it was hard to feel like it was mine. But I am now thrilled with it, and can’t wait to see the physical copy in a few weeks! The official publication date is June 20th 2017! When Sophie Bennett moves from a quiet, sleepy suburb of Toronto to glitzy west London, she doesn’t know where she has landed: Venus or Mars. Her three-year-old daughter Kaya attends Cherry Blossoms, the most exclusive nursery in London, where Sophie finds herself adrift in a sea of Alpha mums. These mothers are glamorous, gorgeous, competitive and super rich, especially Kelly, the blonde, beautiful and bitchy class rep.
You will soon be able to purchase The Beta Mum, Adventures in Alpha Land locally on June 20th from The Notting Hill Bookshop or you can get it straight to your door with the ever so reliable Amazon from June 20th! You can also enter the Goodreads Giveaway for a chance to win a free copy on May 10th. The Goodreads Giveaway will run from May 10th to June 10th. Giveaway ends June 10, 2017.